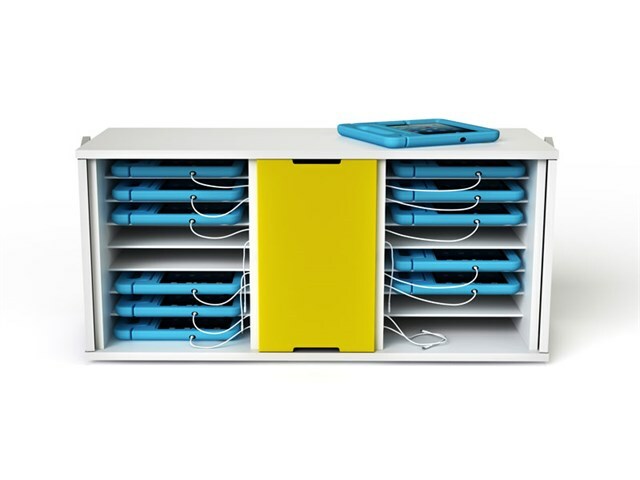 The compact, robust and simple to use desktop charge only cabinet is designed specifically for up to 16 iPads in large cases such as the Big Grips Frame. 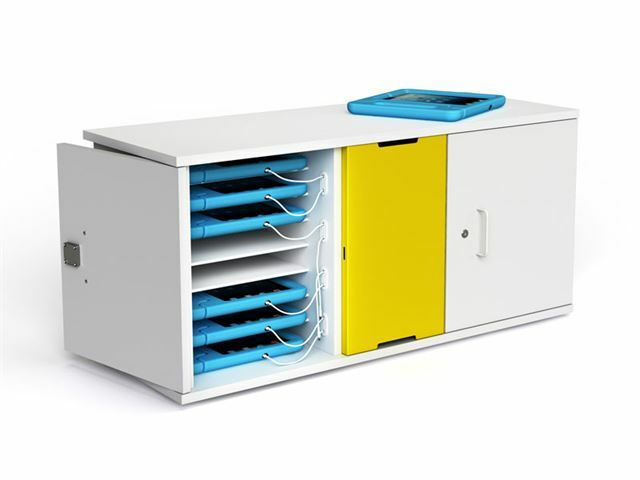 Big Grips Charging Cabinet provides dedicated cable management and storage, with only a short length of power cable presented to each device shelf – so no cable mess, no USB ports to get broken and no cables going missing! Two independently lockable doors, each providing 8 device shelves, separated by a secured but front accessible electrical compartment. Lockable doors fold back 270 degrees and are retained for easy access. Smooth, easy to clean surfaces. Fixing points included for securing the charging cabinet to a wall or surface. Select either key locks or digital codes locks. Two years warranty for electronics. Dimensions: 101cm (W) x 38cm (D) x 46cm (H). Doorstep delivery charge per trolley is £35. Please note: this product has a 28 days returns policy.